Let's be honest: you chose your ride based on its good looks not for its fuel economy and grocery hauling capacity alone. But, just because your car, truck or SUV looks great with its stock wheels and bumpers doesn't mean you can't improve upon the original. 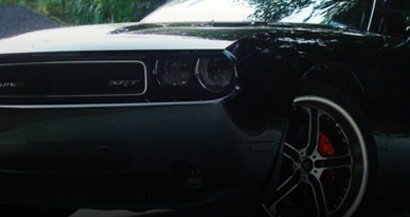 At Rvinyl, we're committed to making your DIY aftermarket mod dreams come true which is why we offer one of the largest selection of unique and affordable exterior automotive accessories anywhere. But, you don't have to take our word for it, go ahead and browse our site to see just what we have to offer. The right aftermarket body kit can make all the difference and can completely change the look and feel of your ride. Whether you've been on the aftermarket scene for years or you're an eager enthusiast just getting started, our high-quality, performance-ready body kits will transform your whip into a mean-looking speed machine. Choose from great brands like Duraflex and Aero Function for custom side skirts, performance bumpers and complete body kits. Made from premium materials like resin reinforced fiberglass and genuine carbon fiber and aerodynamically molded to reduce drag on the street or track, these aftermarket kits will give you the edge on the competition. Whether or not you decide to add a custom body kit you can completely restyle and restore your exterior with Rwraps® premium vinyl wrapping films. With over 100 different patterns and colors to choose from the sky's the limit when it comes to wrapping your ride. Want that popular, flat painted look? Check out our full line of bold, matte finish colors or even our new and unique line of matte chrome films. Inspired by the look of an Artic Camo Lambo and want to give it a try yourself? If so you'll want to visit our camo wraps section to see all of our available patterns and customer submitted photos. Most Rwraps® films are available in 60-inch, 24-inch and 12-inch widths and are sold by the foot in rolls of up to 10 yards in length so you can find the right size for any job. Wrap your rook, hood, bumpers or your entire ride for a fraction of the cost a shop would charge and customize your ride all by yourself. One of our most popular exterior automotive accessories are the lines of window deflectors and bug shields we carry. We carry window visors from both Putco® and AVS® and offer both in-channel and tape on versions of most kits. Custom made for your year, make and model from ABS composite materials that are virtually unbreakable you can get both the look and the protection these pro-grade window vent visors offer. If you've bought a set of visors don't forget to add a set of pre-cut window tint too. Once you've added wind and bug protection be sure to protect you and your loved one's from harmful UV rays and conserve gas by making AC less of a necessity. That's right, the right window tint can actually save you money by keeping the cab of your truck or car cooler so you don't need to turn on the air conditioning! All of our Rtint® pre-cut automotive window tints are computer cut to fit your windows for hassle-free installation so you can DIY for a fraction of the cost a shop would charge and in less time too!